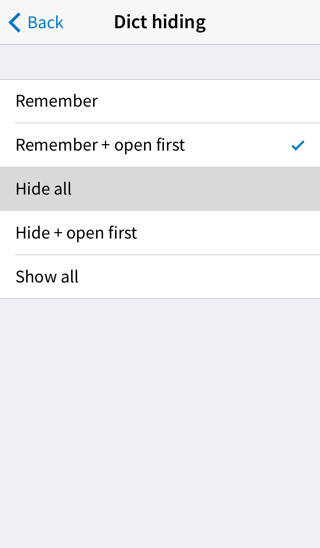 This tutorial will take you through some additional Pleco features not covered in the Basic tutorial, including some that require paid add-ons. 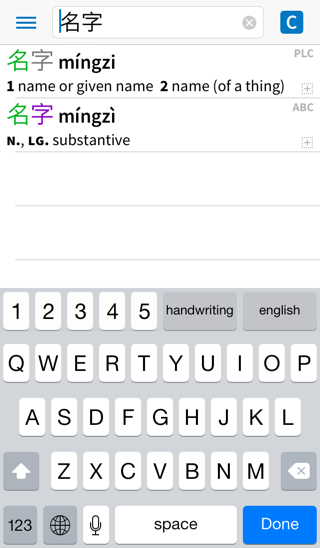 You can use the handwriting recognizer to enter / look up characters simply by drawing them on the screen with your finger. 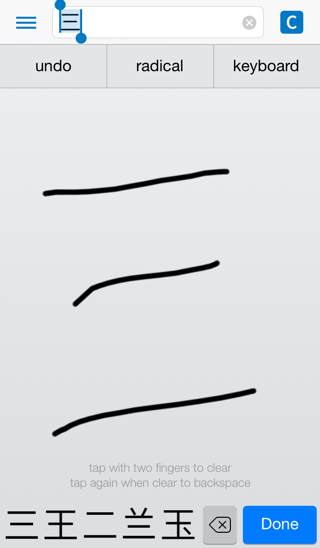 We’ll start with an easy one: draw the character 三 “three” by drawing three horizontal lines, each left-to-right, beginning with the top line, then the middle line, then the bottom line. 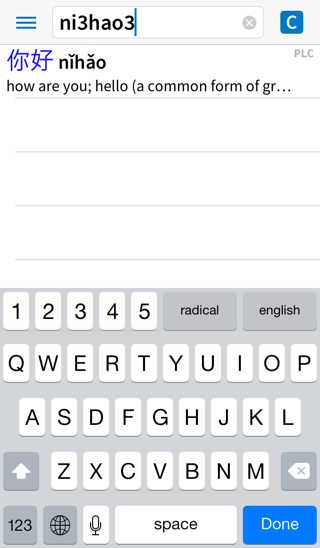 Tap on the backspace button to delete the character you just entered. 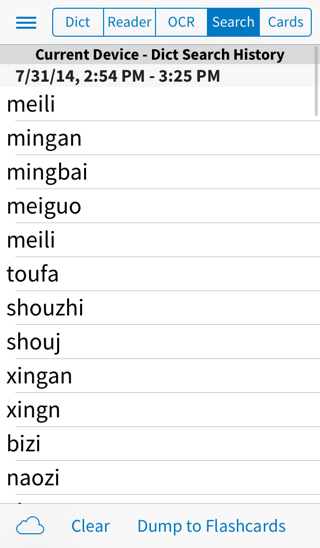 十 should again be the first character listed. 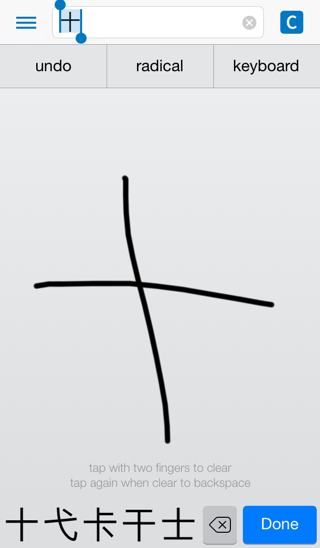 This time, instead of tapping on it, simply tap anywhere in the drawing area with two fingers - it doesn’t matter where, just make sure both fingers are touching the screen somewhere within the drawing area. 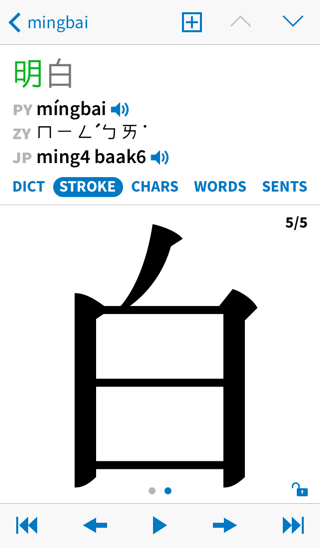 This will clear what you’ve drawn, leaving 十 in the Input Field, and allow you to immediately begin entering another character. 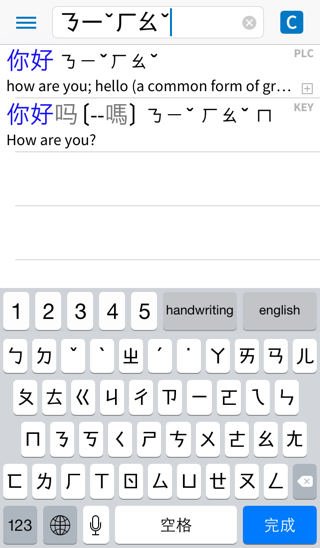 Tap on the screen with two fingers again and that 十 should now be deleted from the Input Field; when the drawing area is empty, tapping on it with two fingers causes the software to backspace and erase the previous character entered. 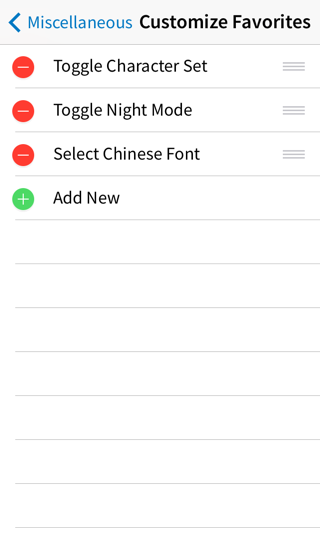 draw a character and it’s not matched at all (doesn’t appear in the bar): tap twice with two fingers, once to clear and once to backspace, then try drawing it again. 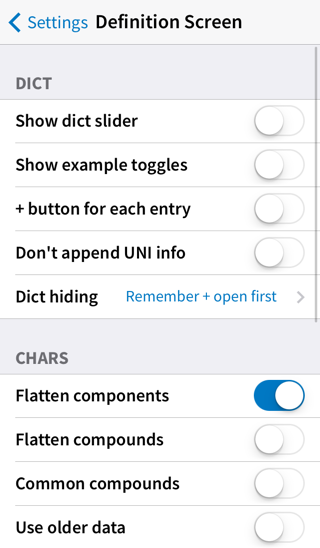 Note that if you tap the list of candidate characters at the bottom of the screen and drag your finger to the left / right, you can scroll it to see additional characters, so it may be worth checking those before you clear your input / try again. 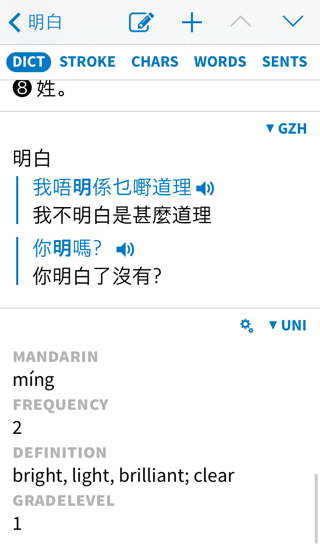 One unique Pleco feature is the ability to combine Chinese characters and Pinyin syllables in a single search query; this works just as quickly as a character-only or Pinyin-only search, and is extremely useful if you recognize one character in a word but don’t recognize the other (since you can use handwriting/radical input for the character you don’t know but switch to the faster keyboard input for the character you do know). 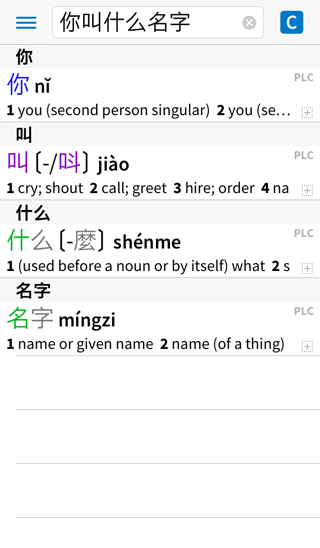 This also works with the Pinyin syllable first and the character second. 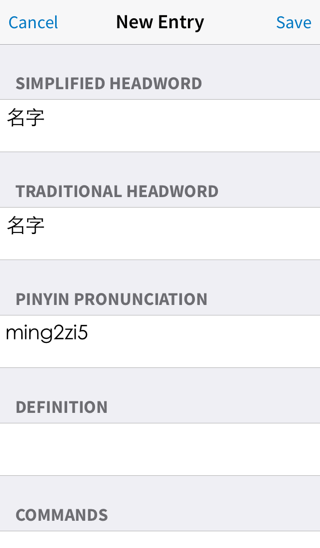 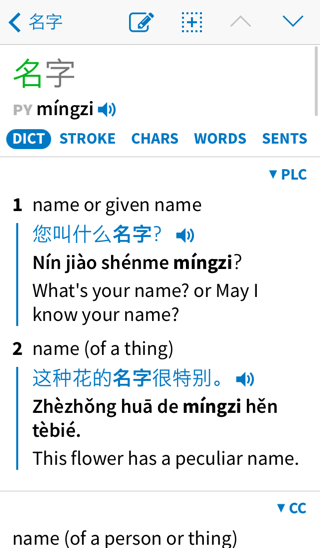 However, in order to keep our database indexes from getting too big, this feature currently only works in the first three characters/syllables of a word; everything from the third character/syllable onwards has to be the same thing (character or Pinyin). 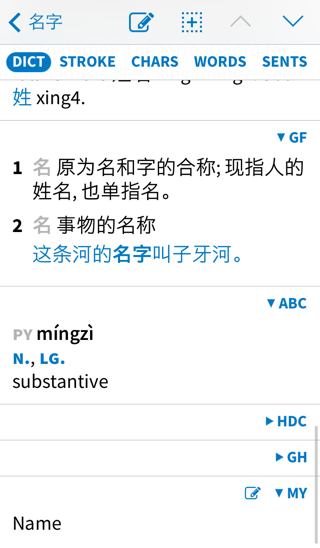 “lve,” incidentally, is an easier way of typing the Pinyin syllable “lüe” - since there’s no “v” in Pinyin, Pleco automatically replaces “v”s with “ü”s in searches. 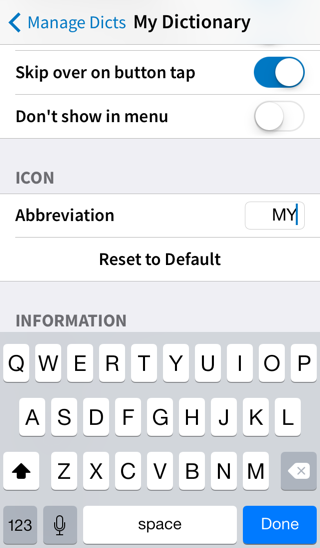 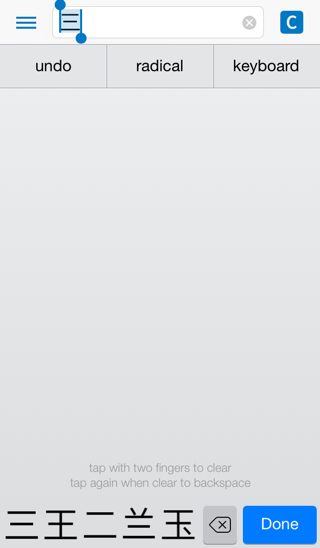 You can assign “$” to the Wild button instead of “@” through the Search Types screen in Settings. 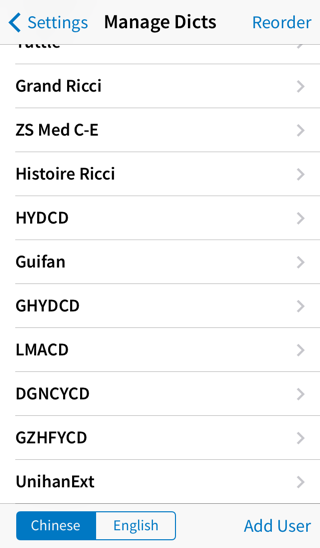 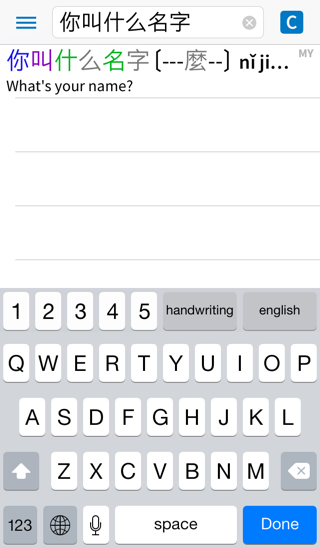 If you prefer to explicitly search for umlauts, type a ‘v’ instead of a ‘u’, or hold down the ‘u’ button on your iPhone’s keyboard and select the ‘ü’ from the menu that pops up. 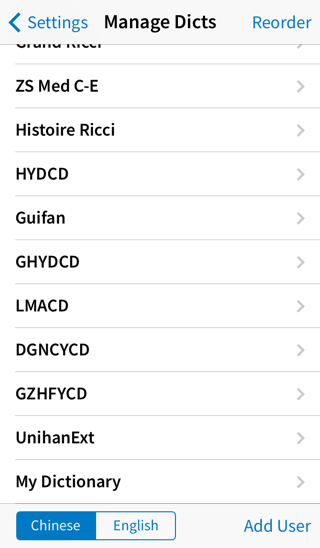 Turn off “search for umlauts on ’u’s” in Settings / Search Engine to prevent ‘ü’ results from coming up on regular ‘u’ searches. 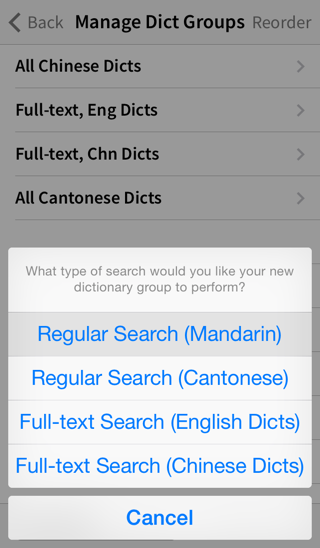 We’ve already seen a little bit of full-text searching with English-to-Chinese, but full-text searches can actually be used for Chinese too, and can be used for English even if you do have a dedicated English-to-Chinese dictionary installed. 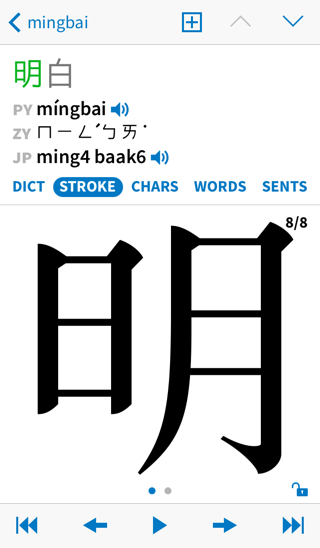 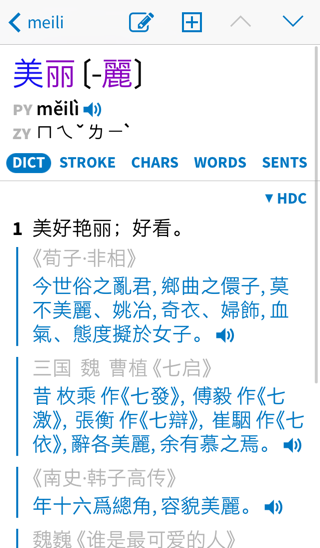 You’ll see all of the entries containing “美丽” listed, with the 美丽 highlighted in each definition. 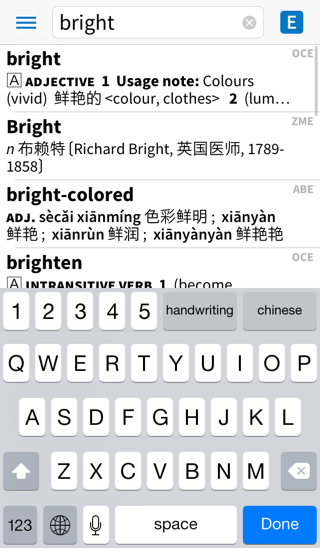 This search type brings with it a couple of extra icons at the top right corner of the screen: [C] is a full-text search of all English dictionaries for a Chinese word, while [CC] is a search of all Chinese dictionaries for a Chinese word; if you enter English instead of Chinese, in addition to the [E] group that you also get with normal English searches (English words in Chinese dictionaries) you’ll see an [EE] which is English searches of English dictionaries. 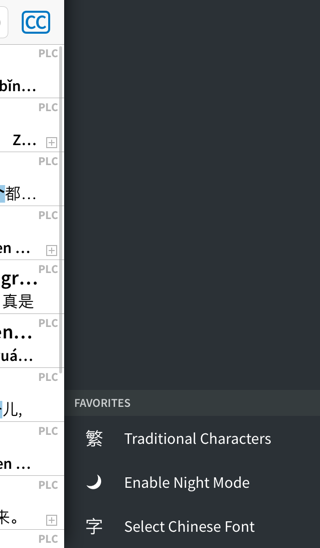 Basically, if the icon is hollow rather than filled-in, it’s a full-text search; C or E tells you what language it’s in, and a repeated C or E means that it’s a full-text search in dictionaries of that same language. 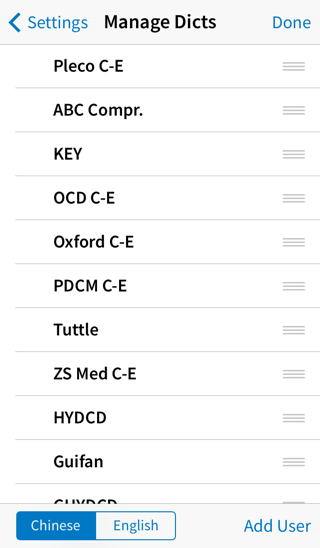 While we’re on the subject, another handy prefix: type a ! 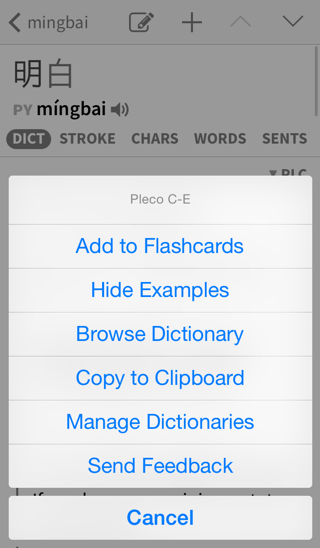 at the start of a search and Pleco will put all of your flashcard vocabulary words on top of the search results. 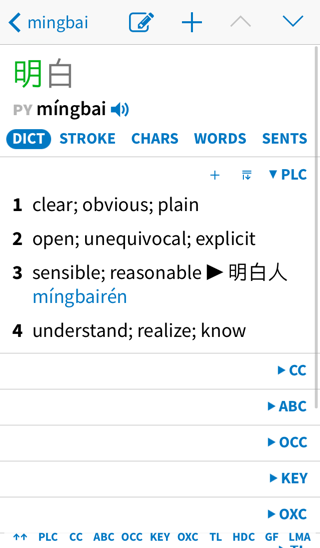 All of the searches we’ve talked about so far have taken place in Chinese-to-English dictionaries - even the English ones were full-text searches in those - but Pleco supports English-to-Chinese dictionaries as well; we offer quite a lot of them as add-ons. 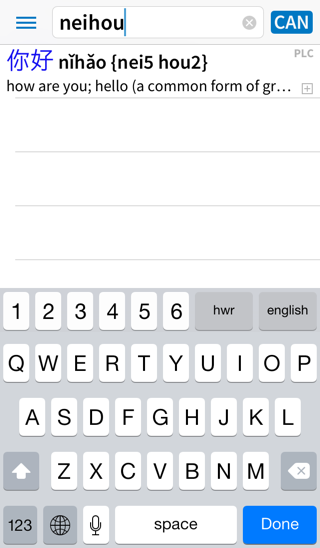 Tap on the play button at the bottom of the screen to animate the strokes in the character one-by-one. 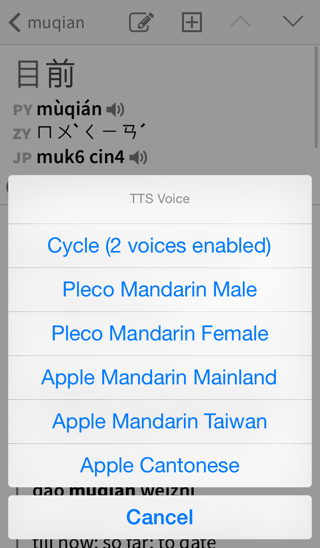 While the strokes are animating, this changes to a pause button - tap on that to pause playback. 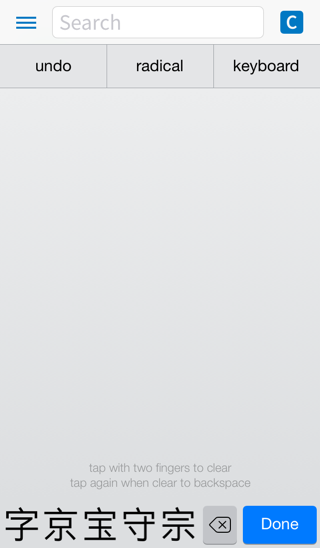 The left and right arrow buttons go back / forward by one stroke at a time, the rewind button takes you back to before the first stroke and the fast forward button takes you forward to after the last stroke. 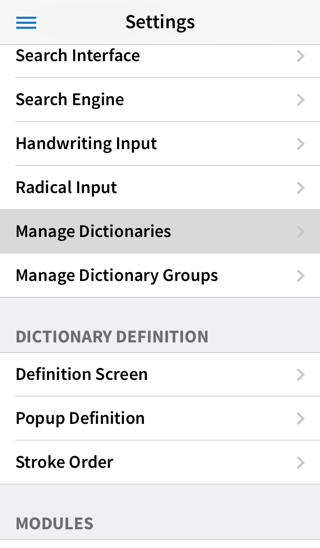 The “lock” icon temporarily disables swiping, which is useful if (like many of our users) you occasionally like to practice character writing by tracing the character with your finger as it animates. 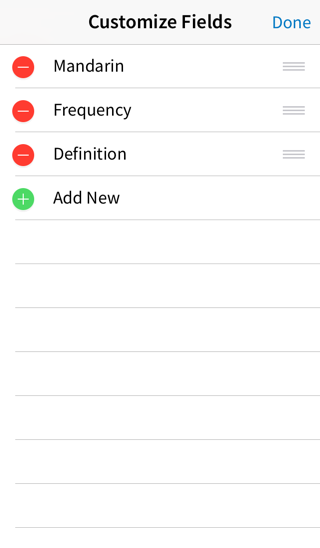 If you find the animation too slow / fast, there’s an option to change its speed in Settings / Stroke Order; there’s also an option there to add a 2x2 or 3x3 box background if you’re used to learning character writing that way. 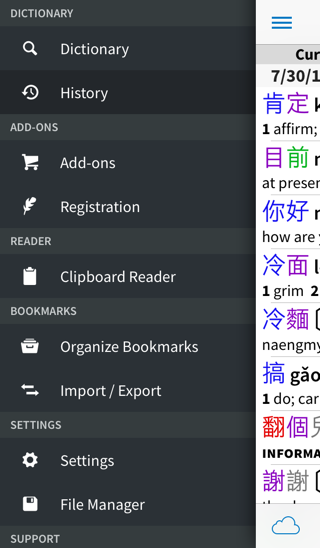 This actually works throughout Pleco - it’s part of our document reader function - so it’s covered much more extensively in the reader tutorial. 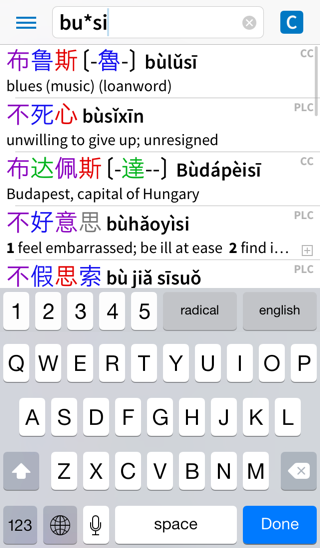 Briefly, though, you can use the arrows at the bottom of the screen to move around the highlight (left/right move it forward/backward and the other two expand / shrink the selection) and the buttons at the top of the screen to do stuff with the highlighted text (> brings up a full-screen definition), and can tap on the dictionary abbreviation at the top right corner of the popup box to change the dictionary you’re viewing a definition from. 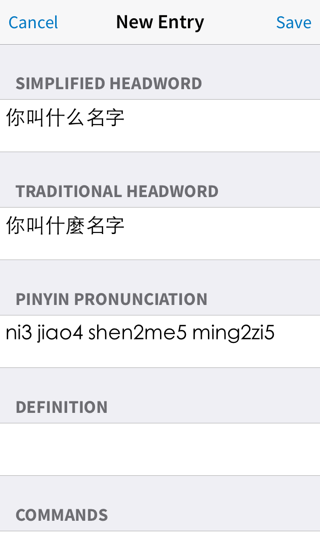 This will pull up various bits of information about the character from the Unihan database, stuff like Japanese / Korean / Vietnamese pronunciations, grade levels, indexes in well-known dictionaries, code points in various popular Chinese text encoding systems, etc. 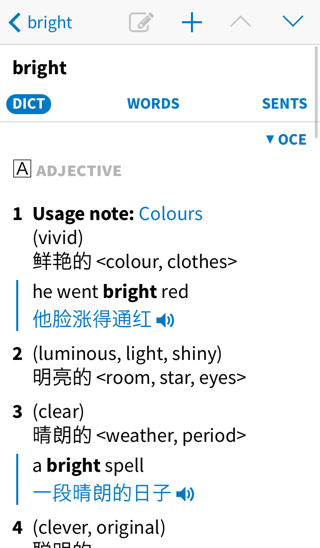 This has a couple of useful functions; it’ll let you copy a single dictionary’s entry directly to the clipboard (Copy to Clipboard), hide / show example sentences in a particular dictionary for ease of navigation, add a particular dictionary’s entry to flashcards (covered more extensively in the flashcard tutorial - the default + button just adds whichever dictionary is listed first), or send feedback to Pleco to report errors in a specific entry. 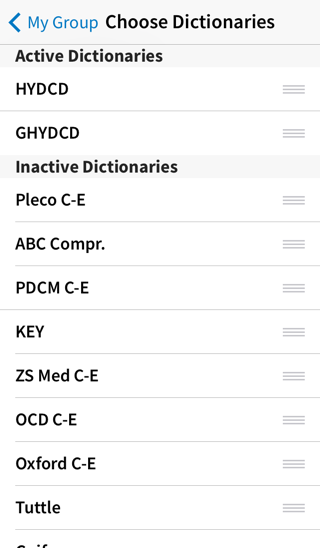 The “Dict”, “Reader,” and “OCR” tabs display recently viewed entries in the dictionary, popup / document reader, and OCR modules respectively; these are entries, not searches, so in the “Dict” case it means any entry that you tapped on to view its definition in more detail. 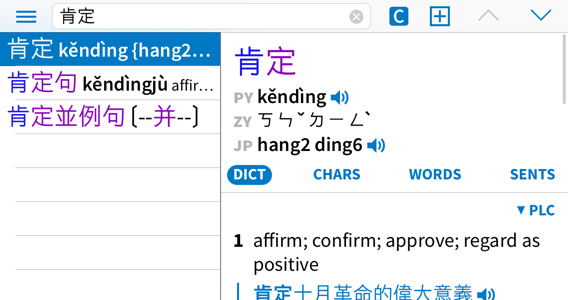 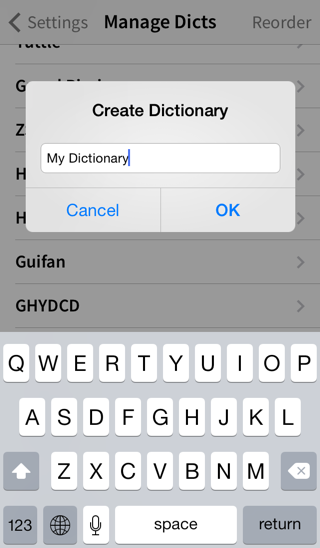 This offers an alternate interface for searching for / displaying dictionary entries, one that takes advantage of the extra screen width to put definitions and result lists on the same screen. 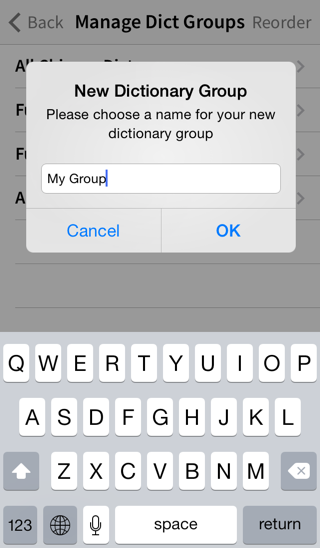 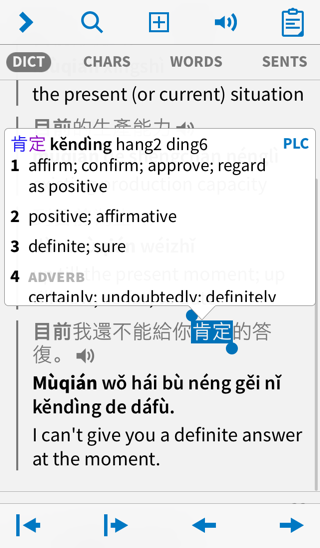 The currently-selected dictionary entry is highlighted in the list of entries, and its definition is shown next to the list. 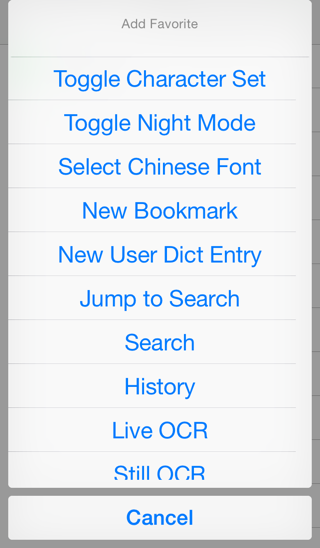 To view another entry, simply tap on its entry in the list, or tap on the up / down arrow buttons at the top right corner of the screen to scroll through entries one-by-one. 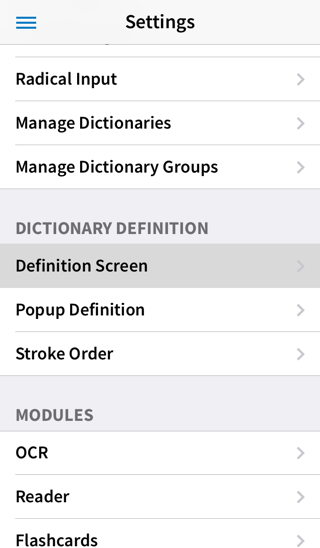 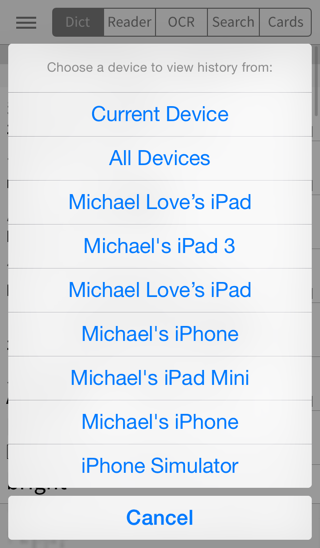 The rest of the definition screen functions identically to how it works as a standalone. 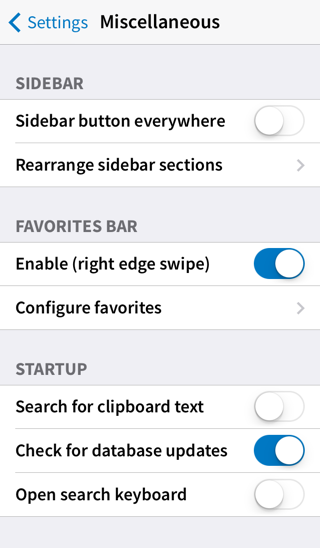 If you don’t like this interface and want to keep things working the same way regardless of how the screen is oriented, disable the “Embed definition” option in Settings / Search Interface / Landscape Screen Layout. 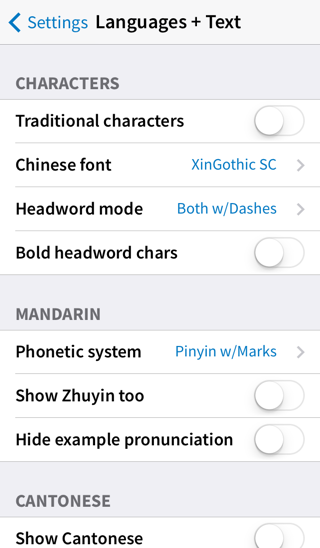 Turn on “Traditional Characters” here to switch Pleco’s primary character set to traditional; it will display everything traditional-first or traditional-only, but will still support searches in both character sets regardless. 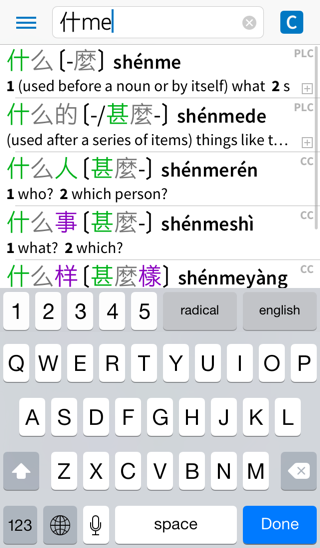 However, in the case of one-to-many mappings like 几 it’s smart enough to only show example sentences in SENTS that actually contain 几 in their traditional version (rather than 幾), and it will likewise factor those cases in when frequency-sorting search results (as 几 is much less common in traditional than in simplified). 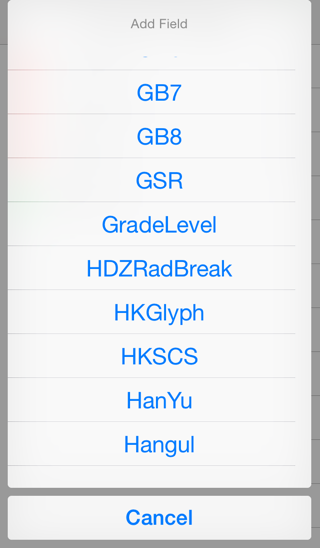 Follow the steps for adding a keyboard in the basic tutorial to enable that and you can switch to it with the globe icon next to the space bar. 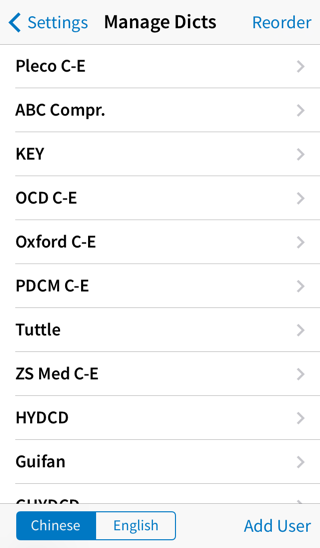 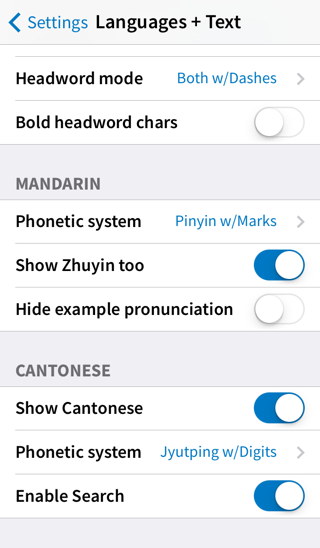 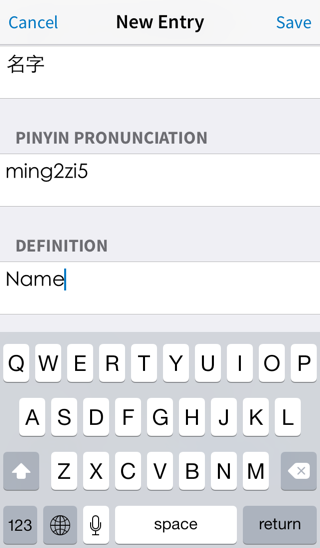 If you prefer to enter Zhuyin natively in Pleco (rather than having iOS convert it into characters for you), turn on “System keyboard Zhuyin input” in Settings / Search Engine. 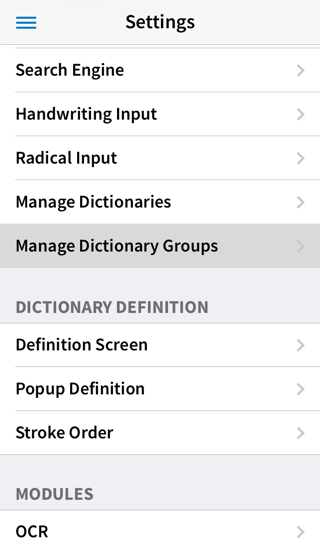 You can also configure lots of individual dictionaries’ search options through this screen - see the regular dictionary manual for information on those. 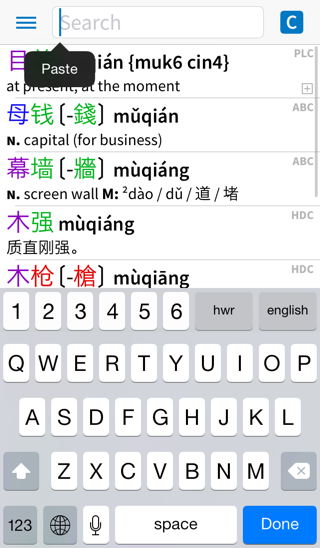 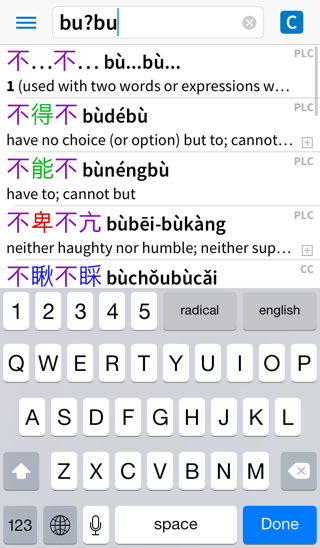 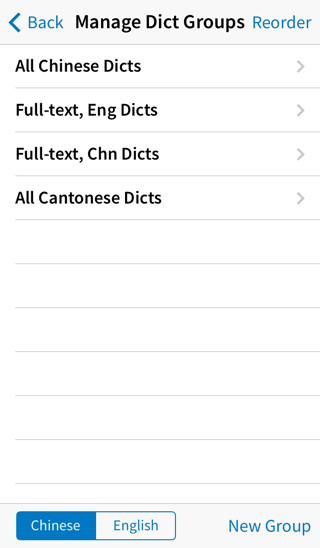 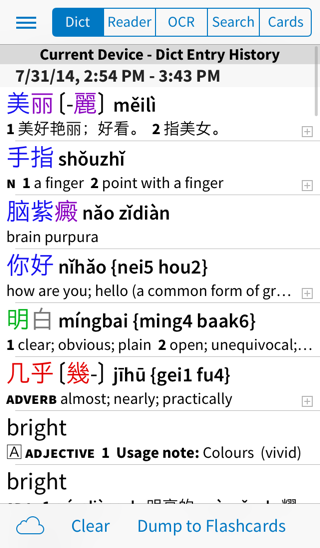 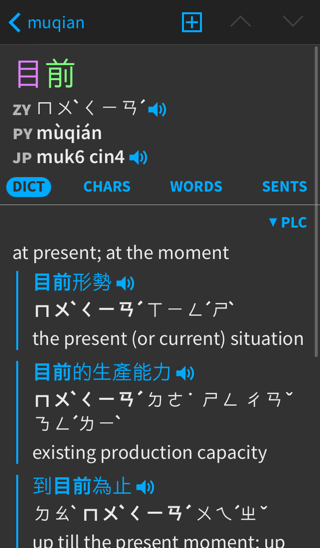 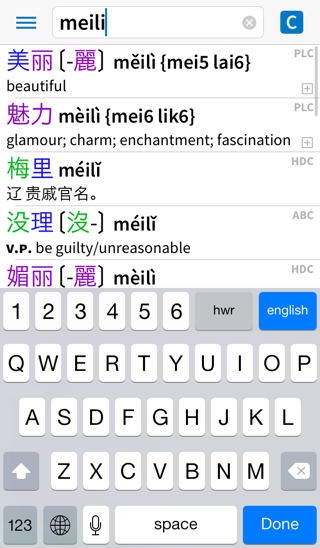 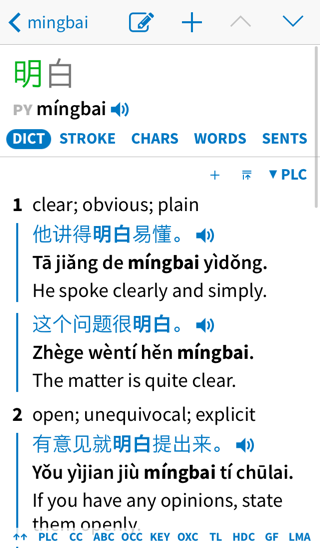 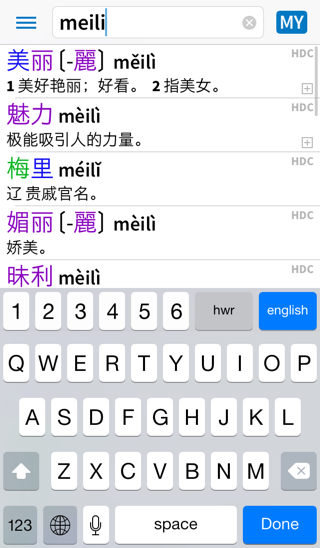 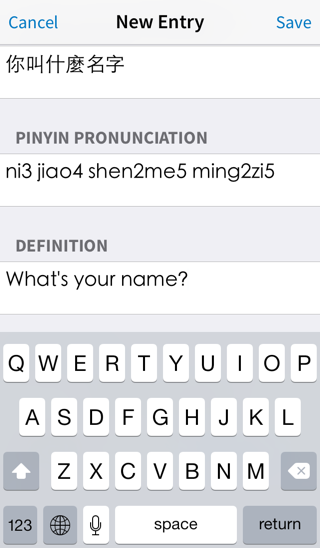 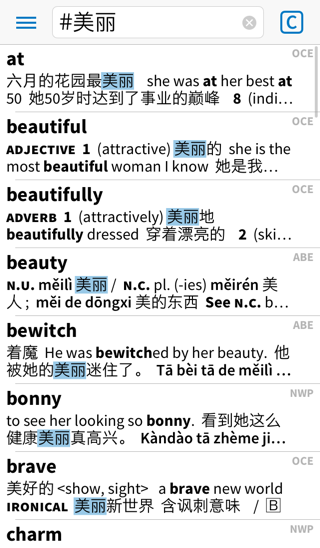 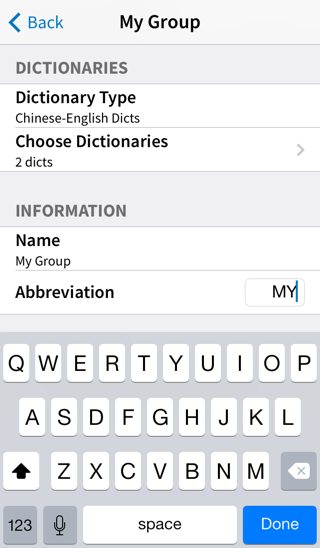 Tap on “English” in the toolbar at the bottom of the screen to review the list of English-to-Chinese (rather than Chinese-to-English) dictionaries. 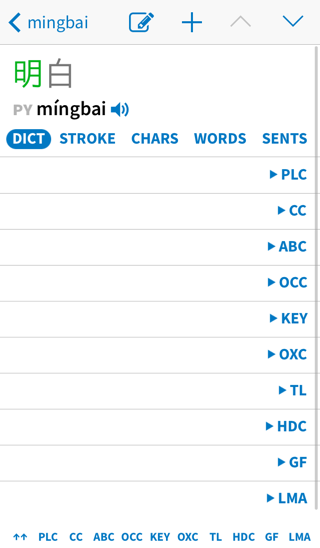 The C, E, [C], [E], etc icons that you’ve seen in the search bar actually represent something more specific than just a language + whether or not it’s a full-text search; they’re icons for dictionary groups. 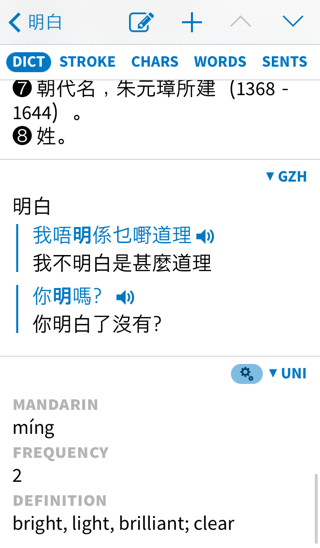 A dictionary group is a set of dictionaries that are aggregated together in a single search; C is simply a built-in group that automatically covers all of your installed Chinese-English dictionaries, but if you have a lot of dictionaries to manage you can create other groups that cover just a subset of them. 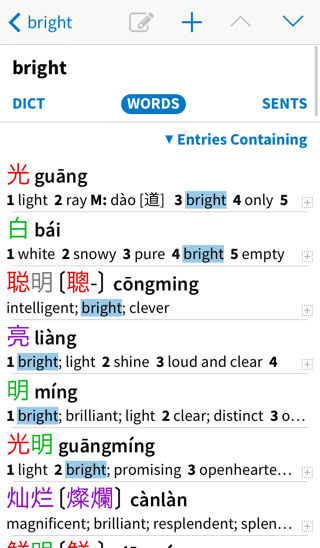 Select a group type - “Regular Search (Mandarin)” under Chinese is what you get from the C icon - a search of headwords in Chinese-English dictionaries - or under English, “Regular Search” the E icon (headwords in English-Chinese dictionaries) and “Full-text Search (Chinese Dicts)” the [E] icon (full-text search in Chinese-English dictionaries). 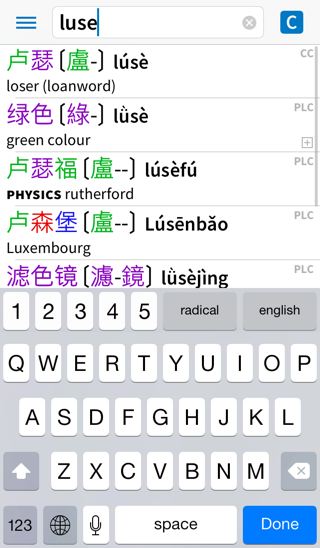 Pleco includes support for making your own custom user-created dictionaries and using them alongside ours. 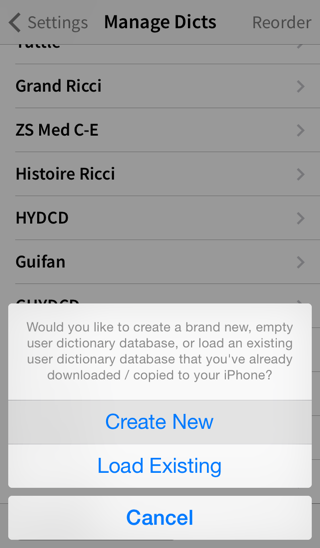 This is covered more extensively in the dictionary manual - see that for information on how to import entries from a text file, for example - but we’ll go through the process of adding single entries for new words you encounter here. 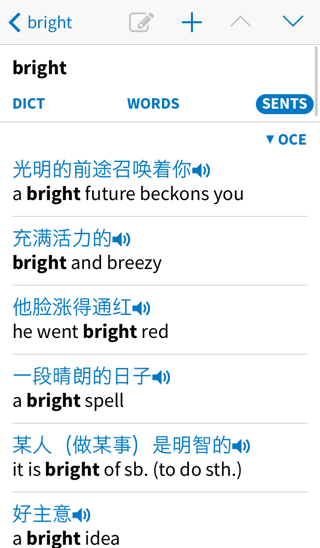 That’s the end of this tutorial. 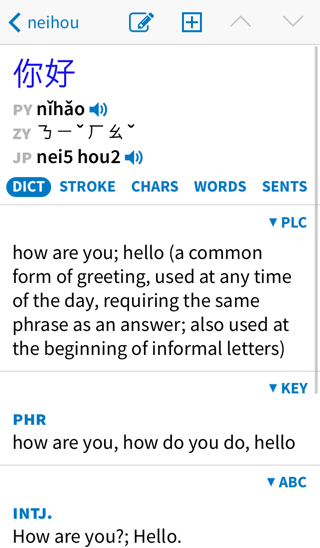 You can continue on to the Document Reader tutorial, which goes into more details about using Pleco’s built-in document reader, the Flashcards tutorial, which explains how to create and test yourself on vocabulary lists, the OCR tutorial, or dive right into the Dictionary, Reader, Flashcards, OCR, or Settings reference manuals.